Friday, May 4, 2018, 12 – 1:30 p.m.
Susan Clayton is Whitmore-Williams Professor of Psychology at the College of Wooster in Ohio. 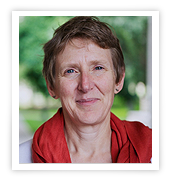 She has written or edited six books, including most recently Psychology and Climate Change (2018; co-edited with Christie Manning). Her Ph.D., from Yale University, is in social psychology. Her research focuses on the human relationship with nature, how it is socially constructed, and how it can be utilized to promote environmental concern. She has written extensively about the implications of climate change for human well-being. Clayton is on the editorial boards of the Journal of Environmental Psychology and Social Justice Research, and is a fellow of the American Psychological Association, the Society for Environmental, Population, and Conservation Psychology (SEPCP), the Society for Personality and Social Psychology (SPSP), and the Society for the Psychological Study of Social Issues (SPSSI). She is a past president of SEPCP and SPSSI. The Center for Environmental Politics organizes a monthly colloquium series on environmental politics, policy, and governance. This series is made possible by the generous support of Gary and Susan Duck, UW alumni and long-standing benefactors of the department. Susan passed away in December 2015 after a prolonged illness. We miss her a lot.